This charming colorwork blanket is a breeze to knit! 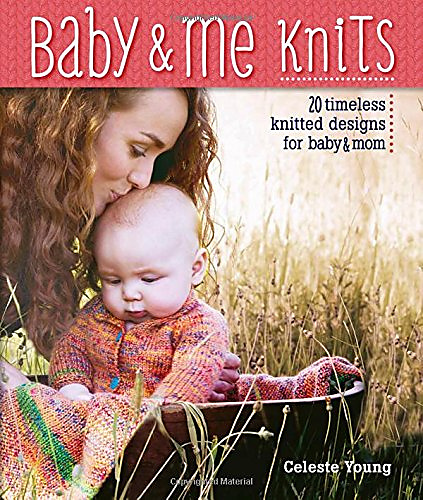 It is worked in the round with steek stitches, no ends to weave in, and a cozy fleece backing perfect for cuddling. 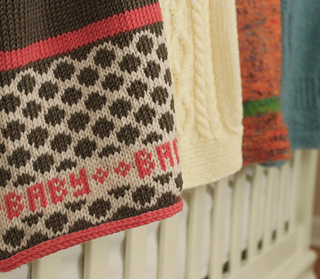 Knit it up as a special heirloom or as the perfect complement to the Sweet Berries Sweater! Yarn: Cascade Longwood (100% Superwash Extrafine Merino; 191 yd 175 m/100 g): #11 Walnut (MC), 3 hanks; #05 Peach or #22 Sky Blue (CC1), 1 hank; #01 White (CC2), 1 hank. of backing fabric (sample shown used washable micro fleece); sewing thread to match backing fabric; sheet of cardstock or cardboard; tapestry needle; scissors.